Summer time, when the living is easy. Easy living require easy food. Less is more, especially when you are in the middle of the Swedish forest. 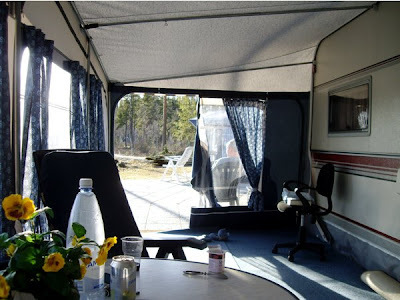 In a comfortable mobile home by Lake Stor Treen we struggled to live as comfortable as possible. No high brow cooking, no mess - plain and easy food. Bread is a Scandinavian staple food, and what is better when you return from a walk along the lake than a simple open sandwich. Scandinavians love their bread. The Danes love their dark rye bread. The Swedes often use syrup or sugar in the bread, whereas Norwegians love whole grains and use barley, rye, and wheat in their loaves. As we crossed into Sweden we bought our loaf of bread to enjoy during our weekend in the deep Swedish forests. But what are we going to eat on our slices of bread? Norwegians and Swedes love their mayonnaise based salads. You may buy Italian salad, a kind of coleslaw, grated carrots and cabbage mixed with mayonnaise with or without ham. 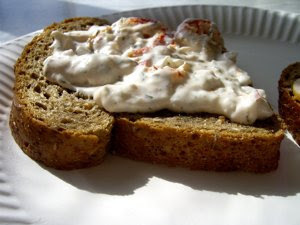 Or we chose crayfish salad, crayfish-tales with mayonnaise. 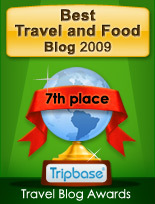 Another favorite is boiled chicken or turkey breasts. 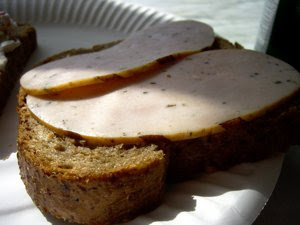 Here you have to moisten the bread with butter before putting on the slice of poultry meat. Wind down and choose something to drink. What? A bottle of Leffe Blonde? A good idea!!! 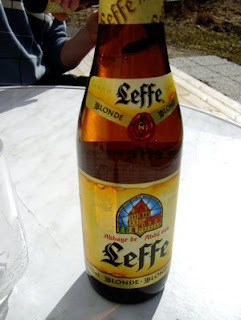 My relationship with Leffe Blonde goes way back - to the middle of the nineties, when I visited friends in Brussels that introduced me to this delicacy. I remember my first Leffe Blonde - a cold dripping glass served at La Terrace at Merode, by Avenue Tervuren. I did, in fact, visit the Leffe monastery in 1999, located in the small town of Dinant in southern Belgium. In a valley carved out by the Meuse river you find this old monastery, where silent monks brewed their very strong beer from the Middle Ages. The Leffe Blonde holds a higher alcohol level (6,6%) than the our national beer, but the slightly sweet and rich aromas makes this beer a perfect summer drink. So we opened up a bottle each, leaned our back in our comfortable chairs located in the tent in front of the mobile home. What could be better or easier as a bright spring lunch. Yum!! 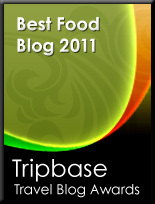 I love spare ribs, but it is definitely not the most economical of foods. 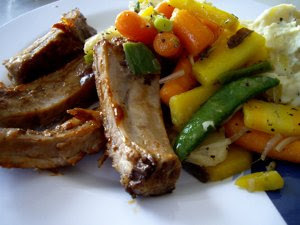 Over half the weight is pork bones, and this means that pork ribs is little meat for the money. 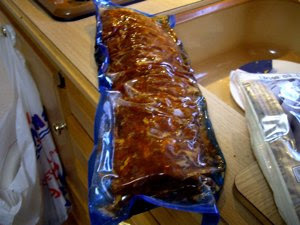 These spare ribs had less ribs than I am used to, but having been heated on the barbee the little meat tasted great. We served frozen vegetables heated with a little butter and stewed potatoes. Hunger creates the best cook. This was easy food, but fresh air and the spring sun made this a great meal.